Color Sample. Each color sample is a visual example of time shown in the deleterious effects of a marine environment on paint and metal. These images were taken on a foggy day in Berkeley California. On this day Jim Antrim gave a presentation and guided tour of Berkeley Marine. The presentation primarily concerned the design and fabrication of custom boats. Jim is a naval architect that followed his passion for custom fabrication. In designing ships Jim must grapple with the inhospitable ocean environment. Many of the materials he uses are susceptible to corrosion, undermining their structural integrity. Corrosion is a deadly enemy in the marine environment. 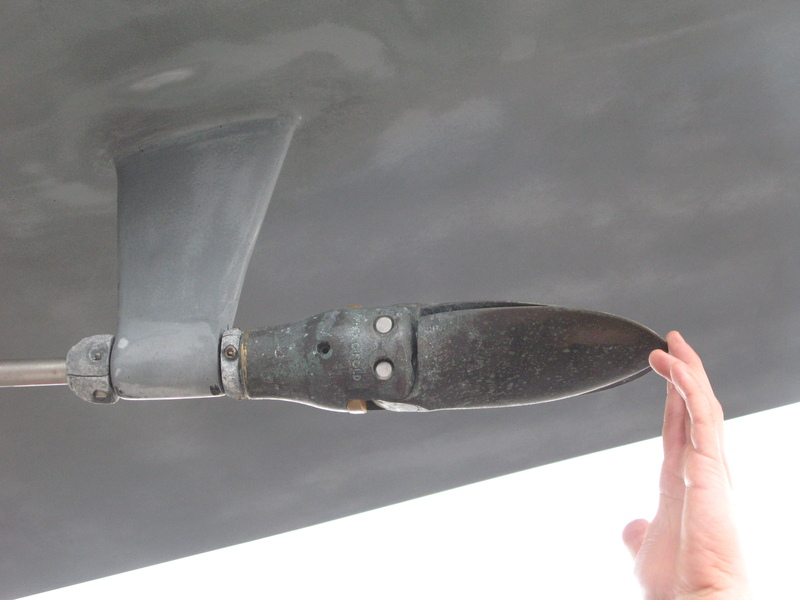 Naval architects such as Jim Antrim employ many tools to prevent corrosion. Metal on ships whose composition is not homgenous become the victims of corrosion, one way to prevent corrosion is cathodic protection. Diagram of (ICCP) cathodic protection. 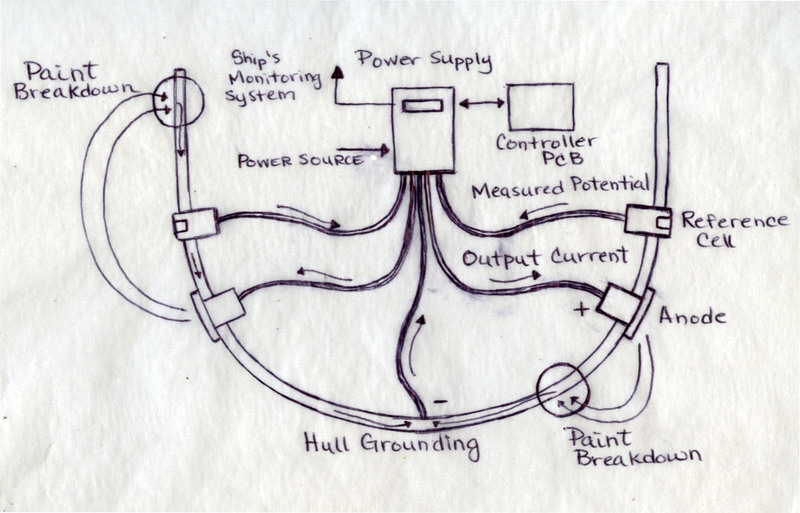 Impressed current cathodic protection uses positive current to prevent corrosion, in this system a large amount of positive current is sent around the ship to prevent reactions from taking place. Another way this problem is dealt with is by using sacrificial anodes. Sacrificial anodes are less noble metals, such as zinc, allowed to deteriorate in the corrosive environment to save the key components, such as the brass rutter. Paint is another tool used to prevent corrosion, it is applied in a thick layer to the ship in order to provide a barrier. I was intriqued by this relationship of the designer to the environment and the many factors that must be taken into account when designing ships. Soon after Jim Antrim’s lecture my attention was drawn away from the subject at hand. I became mesmerized by the unassuming details, the colors and textures caused by corrosion. The beauty that came from the naval architects nemesis, corrosion. I photographed the effects of time on materials shown in the color and texture found at Berkeley marine. In this saline environment the effects of time are acutely apparent. The image above marked the beginning of my investigation into photographing the corrosive affects of salt water and visual manifestations of time. The corrosion caused by the caustic salt-water makes visual residue of the passage of time more drastic. The paint quickly chips away from its original pristine finish, the metal corrodes and the sacrificial anode is dissolved to protect a brass rutter. In the above image you can see corrosion beginning to affect the rutter, the sacrificial anode has been dissolved. Sacrificial anodes are a inexpensive solution to the ever present problem of corrosion but are rather capricious things, with unpredictable and uneven dissolution. If the paint is corroded away the anode will dissolve faster, if the anode dissolve too quickly your rutter could be next . All those metals on ships whose composition is not homogenous become victim of the adverse effects of corrosion. Zinc is sacrificed for the life of the brass. Color Sample. 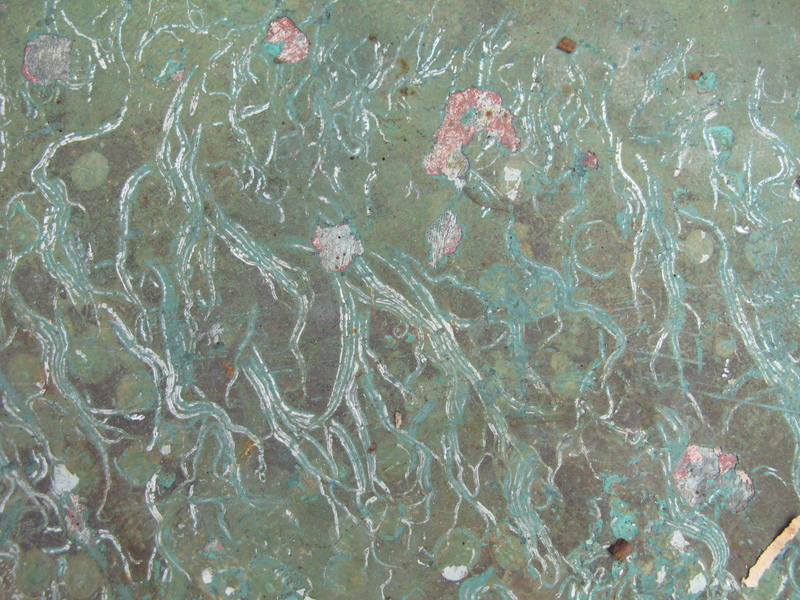 Corrosion facilitated this specific moments of color.